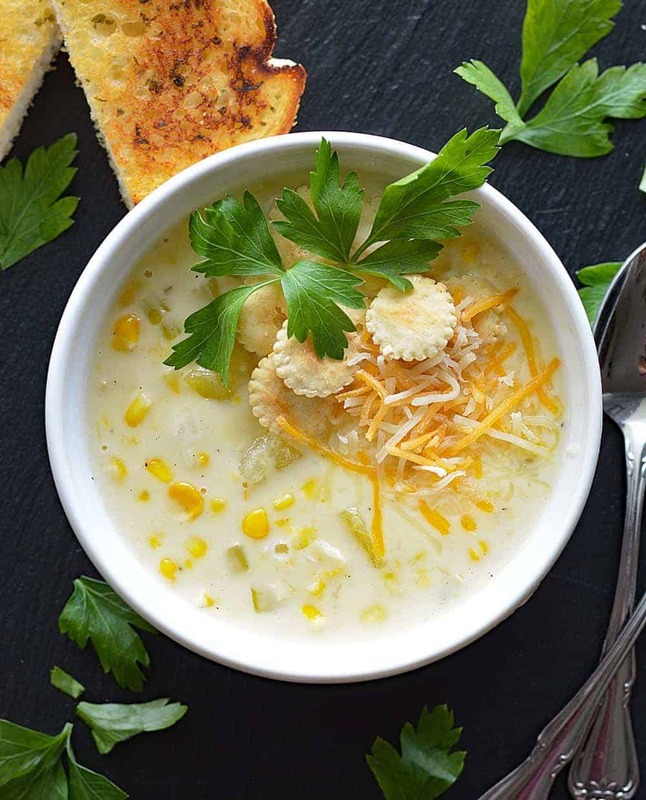 This Vegan Cafe Corn Chowder is a dairy-free copycat of Mimi’s Cafe Corn Chowder. 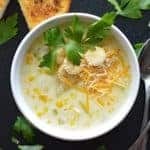 They actually publish the original on their website and when I looked into the creamed corn, the one I found was accidentally vegan! Vegan margarine was an easy substitute and then for cream, you can either use coconut milk or a a non-dairy creamer. 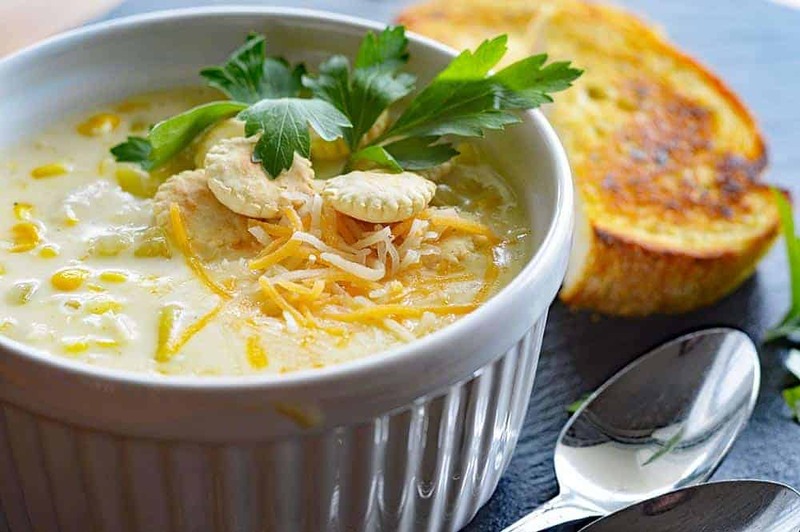 The first step to this flavorful chowder is to make a roux. Sounds fancy, but all that means is that we’re adding a bit of flour to the melted butter (vegan margarine). This base will be our thickener. The roux is whisked until smooth for about two minutes. You can see it there under the diced onions and celery. It should be a nice pale color. 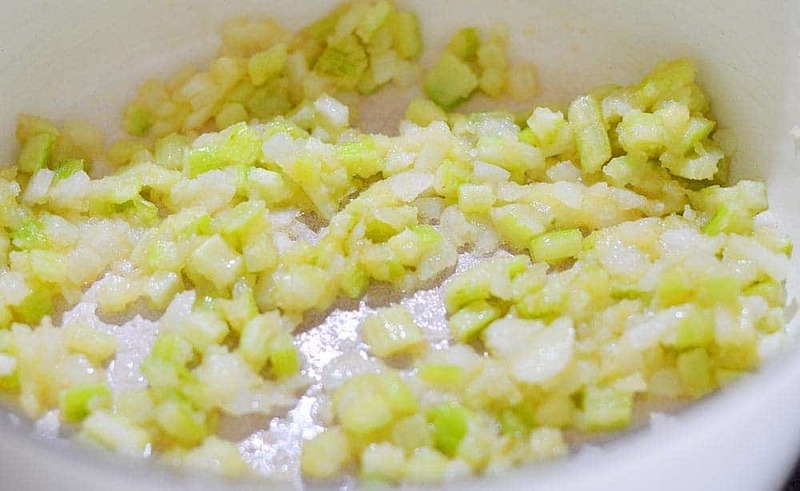 The onions and celery get sauteed in the roux over low/medium heat. Stir often so they don’t burn. 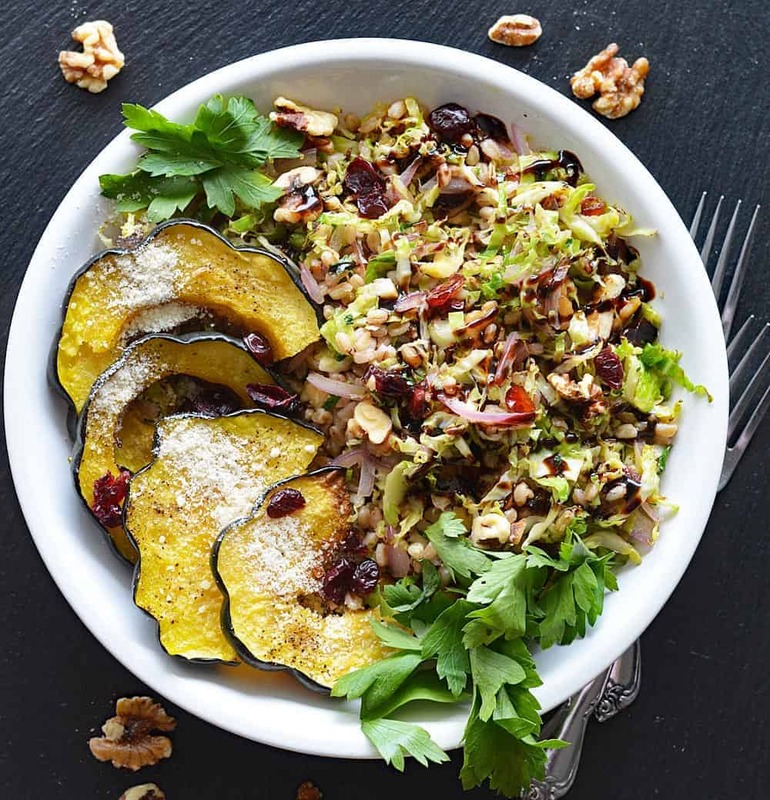 You want the veggies to soften, but not necessarily brown. 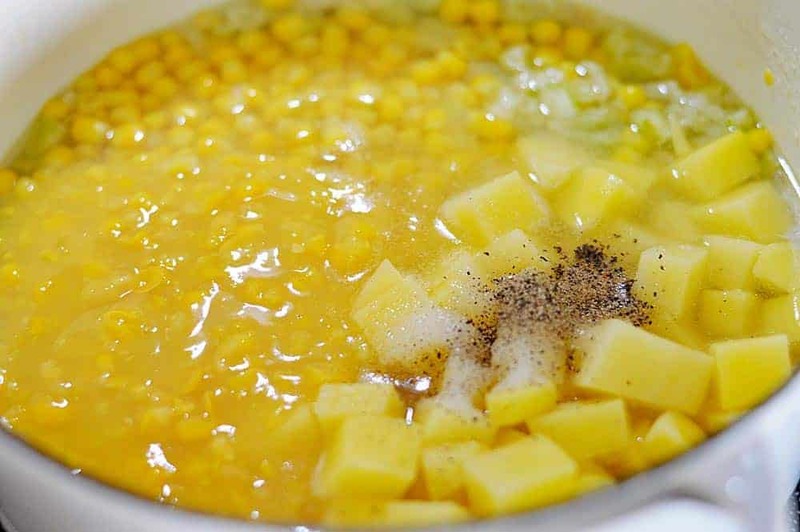 Finally, add the water, canned creamed corn, defrosted frozen corn (or fresh if you have it), diced potatoes, sugar, salt and pepper. Stir to combine and simmer on low heat for about 30 minutes or until the potatoes are fork tender. Take care not to cook over too high a heat. There is a lot of starch and sugar in this pot and it wants to stick. Stir occasionally. The last element is our cream. I used a non-dairy creamer, but I realize that not everyone has access to these products. Canned coconut cream or even a non-dairy milk would work in a pinch! 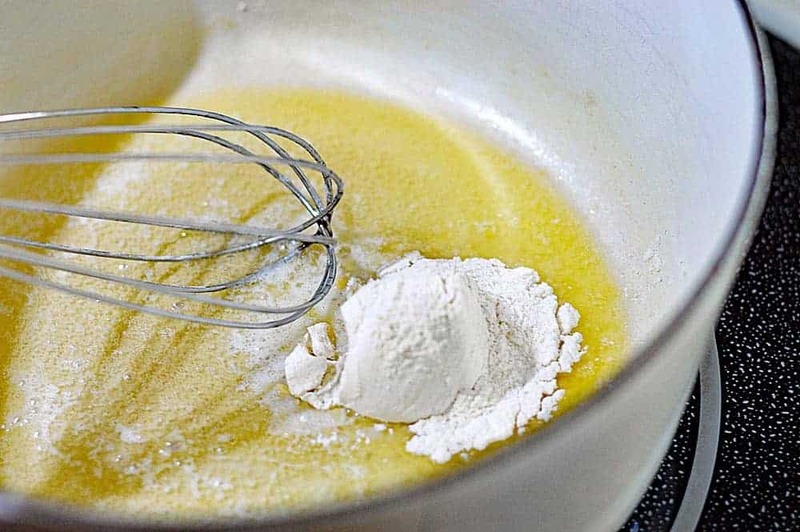 If you are concerned it may not thicken enough using non-dairy milk, try adding more flour when you are creating that initial roux. But be sure to do this in the first step though as the raw flour taste needs to cook out before proceeding. Serve with Oyster Crackers or Garlic Toast, a sprinkling of vegan Mexican blend cheese or even a dollop of vegan sour (or cashew) cream. Garnish with fresh parsley. If you’ve made this Vegan Cafe Corn Chowder, let me know what you think! Leave a comment below. 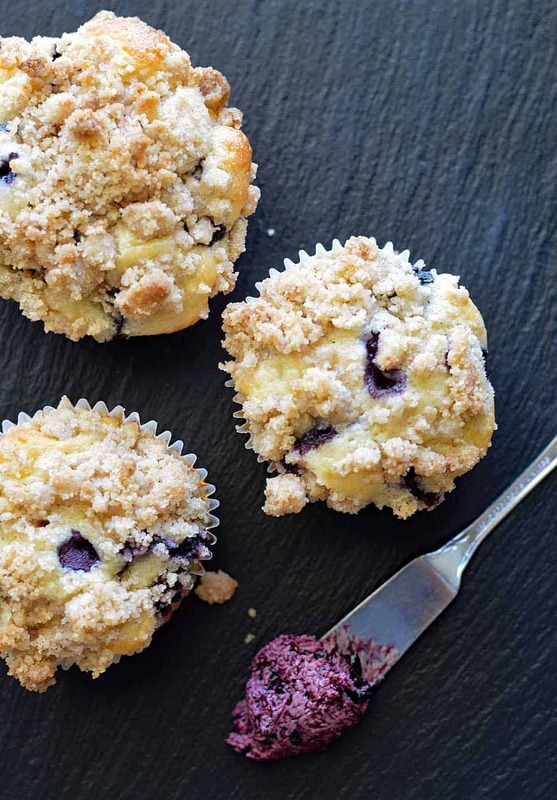 And, if you liked this recipe, PIN IT FOR LATER! ? Melt vegan margarine in saucepan over medium heat. Add in the flour and whisk until smooth and a roux forms (about 2 minutes). 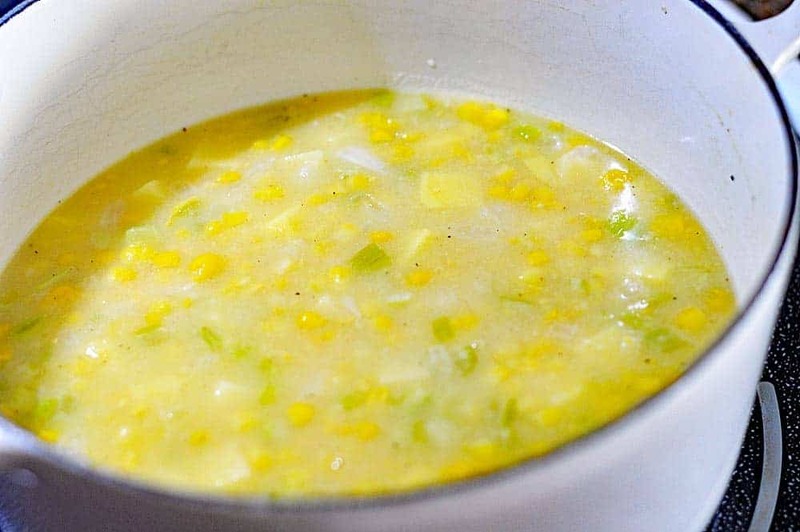 Add water, potatoes, corn kernels, creamed corn, sugar, salt and pepper. Whisk until smooth. 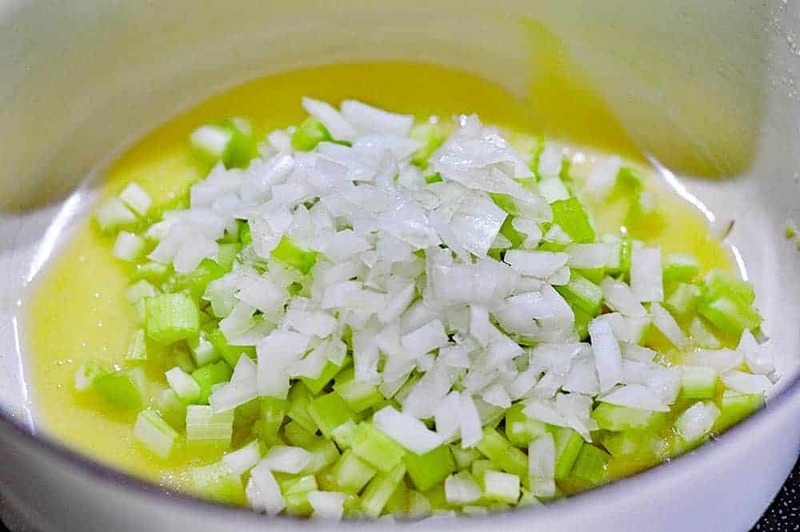 Add creamer of choice and simmer uncovered until soup has thickened to a creamy consistency, about 15-20 minutes.